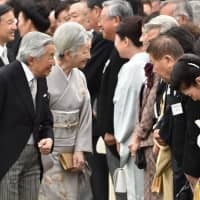 The government remains committed to plans to announce the name of Japan’s next era before Crown Prince Naruhito ascends the Chrysanthemum Throne on May 1, despite demands from conservative lawmakers to have it announced afterward out of respect for the Emperor, who plans to abdicate, government sources said Saturday. The government has told conservatives in the ruling Liberal Democratic Party that announcing the new era name on May 1 will inevitably cause the era change to take effect on May 2 instead, according to the sources. Normally, a new era name is announced after the reigning emperor passes away and a new one ascends the throne. While LDP conservatives have been demanding that the gengō, or era name, be made known after the ascension, government officials believe it is impossible to complete all of the necessary procedures for the era change on the same day, the sources said. The conservatives have claimed that this one-time exception caused by the rare abdication should not be allowed and that the country’s long tradition of having one era name for each emperor should be respected. The official view generated to convince the lawmakers to accept the government’s plan emphasizes that changing a gengo, which is used for the entirety of an emperor’s reign, on the same day of its announcement will disrupt the lives of the people, they said. 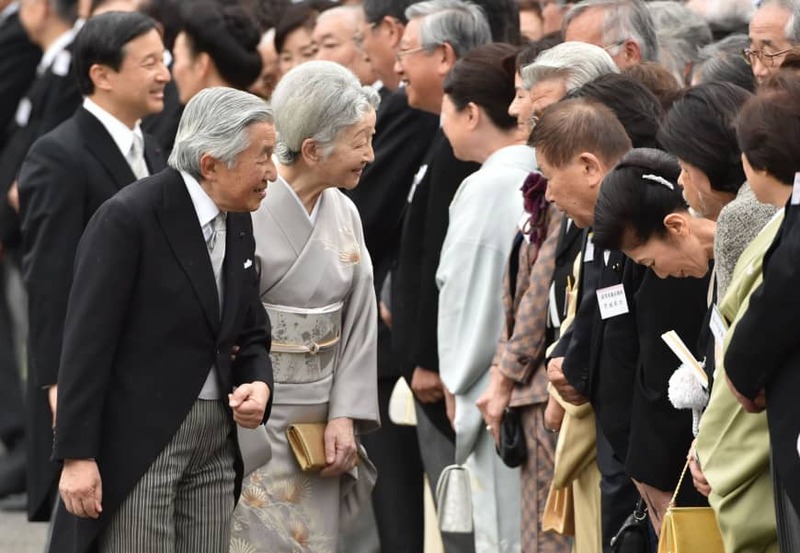 In a rare video message in August 2016, Emperor Akihito, who will turn 85 next Sunday, hinted at a desire to step down, which would make him the first living Japanese monarch to do so in about 200 years, citing concerns about his age and health. Many Japanese use the Gregorian calendar as well as the gengo. The announcement of the new era remains of public interest as it is widely used in calendars and officials documents. Separate sources said earlier this month that the government is leaning toward a plan to announce the name of the new era on April 11 or later. A ceremony to mark the 30th anniversary of the enthronement of Emperor Akihito is scheduled to be held April 10. Prime Minister Shinzo Abe may make a final judgment on when to announce the new name by the end of this year.